Pakistan Tehreek-I-Insaf's (PTI) Dr Arifur Rehman Alvi has been elected the thirteenth President of Pakistan, as indicated by results given by the Election Commission of Pakistan. Alvi, who is currently set to succeed the active President Mamnoon Hussain, pushed out PML-N upheld chief of the Muttahida Majlis-e-Amal (MMA), Fazlur Rehman and senior PPP pioneer Aitzaz Ahsan in the presidential race by earning a bigger number of votes than the two his adversaries joined. The ECP, in a public statement, said that a sum of 1,110 voters took an interest in the presidential surveys held all the while at the Parliament House and the four common gathers today. Of the aggregate votes cast, 27 votes were pronounced invalid. After the aggregate substantial votes were dealt with as per the arrangement of passage 18 of the Second Schedule of the Constitution, Alvi anchored 353 votes, Rehman packed away 185, while Ahsan's count remained at 124. The Election Commission of Pakistan (ECP) has called the trio or their specialists to the ECP Secretariat tomorrow to observe the organization procedure, after which the official outcome will be declared and the winner notified. Of the 430 votes cast in the National Assembly and Senate, PTI's Alvi gotten 212 votes, JUI-F's Rehman stowed 131 and PPP's Ahsan collected 81; six votes were rejected. Of the 61 Balochistan Assembly individuals, 60 cast their votes, with previous CM Nawab Sanaullah Zehri the sole non-attendant. As per temporary outcomes detailed by DawnNewsTV, PTI's Alvi anchored 45 votes, while 15 officials voted in favor of Rehman. PPP's Ahsan neglected to get any vote. In Sindh Assembly, PPP's Ahsan gathered 100 votes, Dr Alvi packed away 56, though only a singular vote was thrown in the support of JUI's Rehman; one vote was squandered. In Khyber Pakhtunkhwa Assembly, Dr Alvi got 78 of the aggregate 109 votes, while Rehman and Ahsan had 26 and five votes individually to their names. In Punjab Assembly, Dr Alvi anchored 186 votes, while Rehman and Ahsan got 141 and six votes separately; 18 votes were rejected. The bizarrely high number of rejected votes in the Punjab Assembly could be credited to a week ago's mumbles that a gathering inside the PML-N was miserable over the gathering's choice to name Rehman, and even named him a "terrible decision". 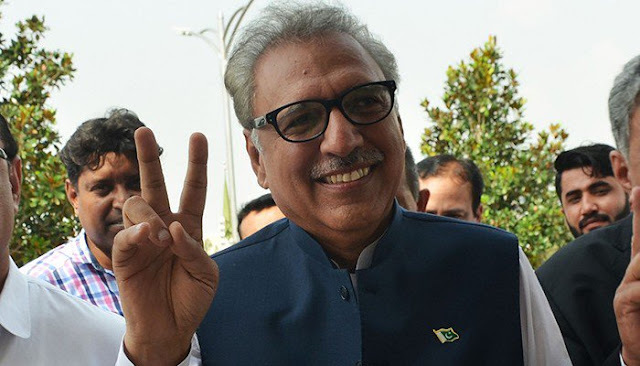 "I am grateful to God that the PTI-nominated candidate has been successful in the presidential race today," Alvi said in his victory speech. "I am also thankful to Imran Khan for nominating me for such a big responsibility." 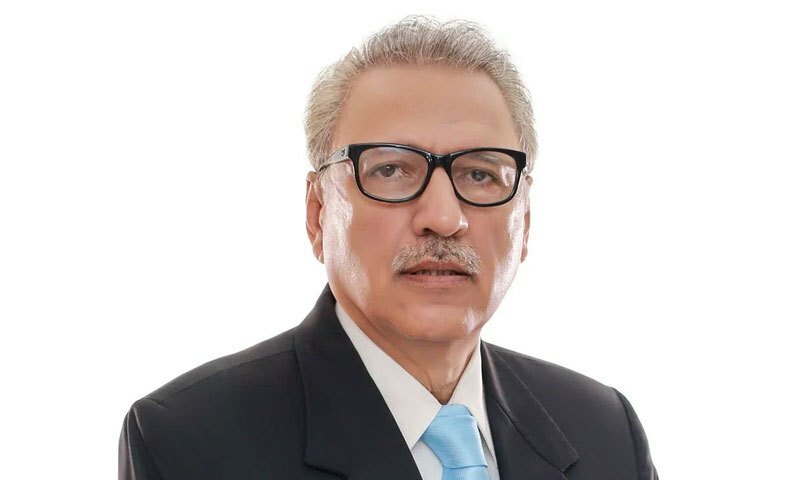 Alvi said that "from today I am not just a president that was nominated by the PTI but I am the president of the entire nation and all parties". "Each party has an equal right on me," he added.